This moisturiser is amazing. I discovered it a year ago and have been using it day and night ever since. My skin used to be dry with red patches but now its really smooth with hardly any break outs cause of this product. This was recommended to me by a facial therapist for my dry and slightly spotty skin.it doesn't feel particularly moisturising when you apply it and has a bit of a mattifying effect but it has sorted out my spots and dry skin! I got this in a beauty box over a year ago and I love it so much I've repurchased twice. Whenever my skin is dry or irritated I use it and it immediately improves the texture. My skin gets quite oily but I never wake up greasy when I use this balm and I've even worn it under makeup with great results. I've used lots of sensitive products that still sting when I have irritated skin around my nose and eyes - Monu recovery balm is the only thing I've found that calms my face without causing congestion. I have rosacea condition and was researching for a product that would help suppress the redness. 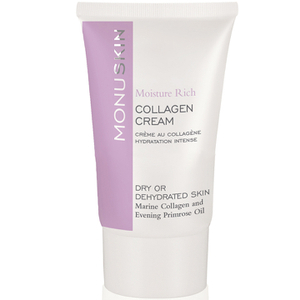 Monu balm is a good product because it relatively helps my skin look not so red and moisturises it well. The scent is also nice. Not the absolutely groundbreaking product for rosacea skin, but it is good, and lasts for a long time. Wonderful balm! It eliminates all the problems with the skin. it's a wonderful tool. face clean and fresh. Absolutely love this balm. And I am so glad LF added it to the Beauty Box, I would have never found it on my own. I have normal to oily very sensitive skin and a lot of allergies, I get a rash on my face the moment I eat something I shouldn't. This moisturizer keeps my skin hydrated and helps calm it down and erase the redness. And the amount of the product you get for the money is also great. I will definitely purchase it when I am out of the travel version I got in the Beauty Box. My skin is prone to Rosacea and this product is the best I've ever found to treat this condition. It eliminates my facial redness and irritation, providing a soothing and calming effect. I've tried this brand with my Lookfantastic beauty box and I've been a fan ever since. If you have a reactive skin and you are tired to try products that worsen your condition, I really recomend this product. First about my skin, it's oily oily, really. So i never imagin "meet" dehydration. But it saved me twice. First when couse of high temp., my skip was like old cracky boots, and second - due to allergies i had BIG problem with face. Ofcouse first days i used medical cream, but then it helped turn my poor skin to normal shape in short time. I love love love this balm (although it feels more like a rich creamy moisturiser). I am prone to a few spots and dry bits of skin around my chin and it has completely resolved this. Loved it so much, my mum decided to give it a try too and likes the feel of it (shes 77 and has great skin). The exfoliant in this range is brilliant too. Try it, you will be glad you did, especially for Winter skin.